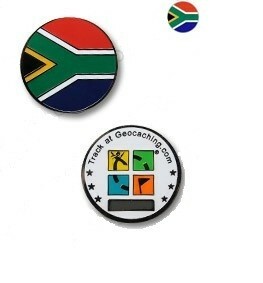 Perfect for fitting into those smaller caches! The current flag of the Republic of South Africa was adopted on 27 April 1994. It was chosen to represent the new democracy. The V or Y shape represents the convergence of diverse elements within South African society, taking the road ahead in unity.